Welcome to Signature Custom Wine Cellars of New England, conveniently located in Central Massachusetts and serving the entire New England Region and beyond. 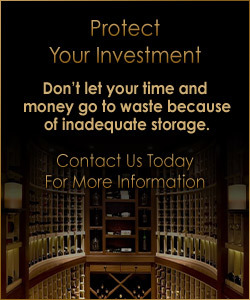 Our goal is to consistently provide the finest quality wine cellars. Whether it is our custom line of wine racks, a wine locker system, a state of the art cooling system, or perhaps a complete cellar design and build, we can deliver. Always at Signature, we are committed to providing you with impeccable craftsmanship and prompt service at responsible costs. We offer our service to all residential and commercial applications. You are invited to review our entire site no matter what your needs may be, and please keep in mind that if you can imagine it, we can deliver it. Simply contact us when you are ready for a free design consultation.